This lesson teaches multiple keyboard parts for In Christ Alone by Stuart Townend. It includes a lesson and also two backing tracks as well as onscreen chord charts and lyrics. 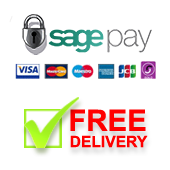 One backing track includes the keybord part and one is without it so that you can play along as the keyboard player in a pro band. Worship keyboard lessons from Musicademy's Advanced Worship Keyboard DVD series. 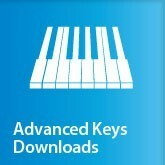 This download is one part of a series of 10 lessons which make up the full Advanced Keyboard series. Each lesson teaches multiple parts to a different song. Buy all 10 Advanced Keyboard lessons at the same time and a 25% discount will be applied at the checkout.